1.) SCHEDULE– Flexibility! A pastor’s schedule can be crazy and unpredictable. When other families are enjoying weekend time off, our family is at work in the church. If my children went to public school, our family time would be extremely limited. My husband and I were not willing to cut-away time spent together. Homeschooling has provided the flexibility needed to schedule family time and vacations when it works best for us. We also appreciate that our homeschool schedule allows time for other ministry opportunities (like serving as a MOPS Coach and Coordinator for me) and serving in the church as a whole family unit. 2.) TIME– Time is precious and valuable. Our children are growing up faster than we care to admit. 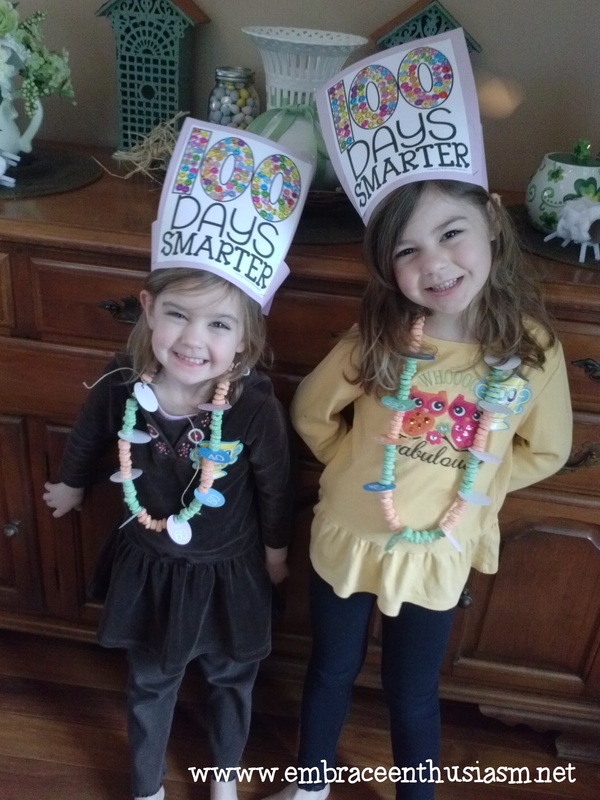 Homeschooling allows us the maximum amount of daily time spent with our children. There are plenty of opportunities during the day to strengthen and build family relationships and practice social interactions with peers and adults. I recognize that homeschooling is a calling of selflessness and servitude but for our family it is a sacrifice worth making. 3.) CURRICULUM– I am a curriculum fanatic! I love the freedom to choose my own curriculum as I see best fit for the individual needs and differences in each of our children.The ability to teach my children about life, social issues, history and science with a Biblical worldview is very important to us. I love that Bible time, study, and prayer are included in our school day. I also appreciate that my children do not have to take part in state testing. I believe very strongly that progress and growth should be evaluated but I like that there are options in the way it can be done. Last year, we chose to do a portfolio evaluation which was much less stressful experience than a standardized test would have been. Along with curriculum and testing choices, I have been overwhelmed with the educational opportunities that are available for homeschoolers. Museums, nature reserves, art and drama classes, music lessons are available to accommodate homeschoolers’s needs and interests. 4.) MORE TIME FOR LEARNING- When I taught in the public schools, I was constantly spending time redirecting behavior or transitioning students from one place to another. As much as I tried to keep “time on task” to a maximum, the distractions and general “noise” in the classroom made for a less than optimal environment to learn. At home, distractions can be kept to a minimum. The ability to teach in a small group instruction fosters quicker mastery of academic skills. And lessons can be based on individual needs and learning styles. On top of that, challenges and problems can be identified and remediation can occur quickly. And all of that equals to more time on task and the ability to accomplish more learning than in another school setting. As I mentioned earlier, each family is unique in their decisions and reasoning. Homeschooling might not be for you and your family and that is okay. This is not a post trying to persuade you that homeschooling is the best way and only way to educate your children. It is only a post about my family’s reasoning of why we do. This year, what ever way you decide to school, I hope that your children will grow and flourish in their education, self-esteem, and in their self confidence. I would love to hear from you. 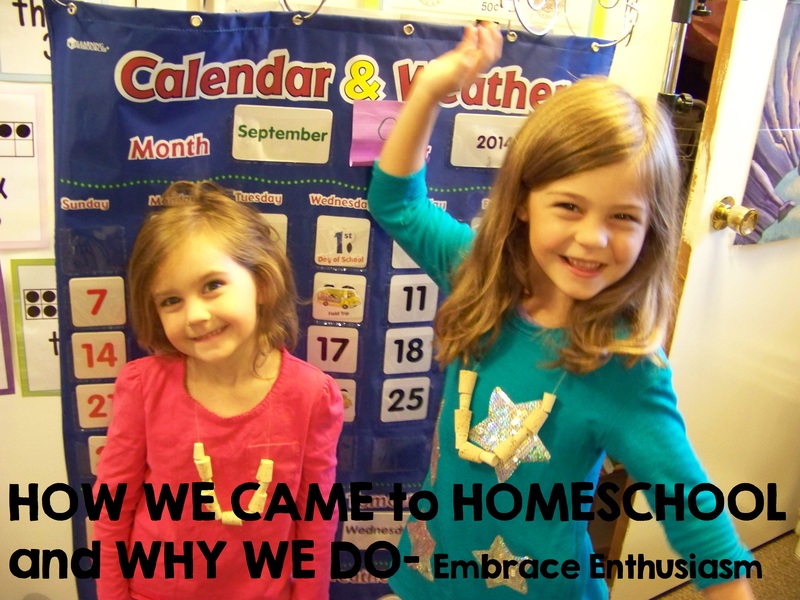 If you do homeschool, what are the reasons you do? If you asked me a ten years ago about homeschooling, my opinion would have been quite negative. To put it bluntly, I was ignorant to the whole thing. 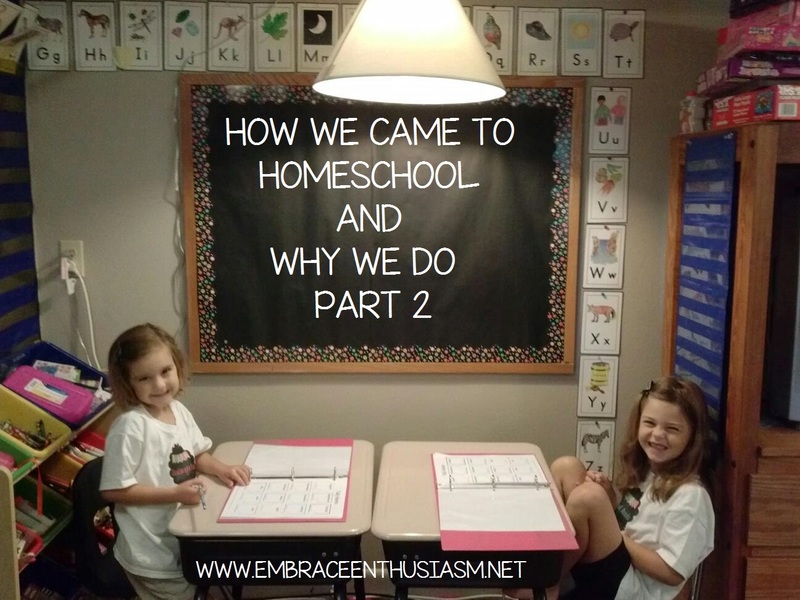 With limited knowledge of homeschooling, my perceptions came from common misconceptions of homeschoolers and the lack of exposure I had with homeschooling families. My training as a public school teacher and my teaching experience only compounded my strong opinions. I thought that the public schools had the best access to curriculum, services, and educational experiences. I thought “socialization” at school had to happen in order to form a well-rounded, well-adjusted child. I was way off. Then we had kids. A funny thing happens when you have them. The moment you look into the eyes of your newborn, the familiar world you once knew seems to change. 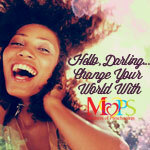 Holding life in your arms, you are left to navigate a “new” and unfamiliar, selfless world. Constant time and attention is directed to the needs and growth of another human being . You find yourself questioning why you believe what you believe and you start prioritizing your values and obligations. Things that you once held high in importance are let go and you realize that certain things (like faith, family, friends) matter so much more than you ever thought. And oh the decisions, you spend constant hours thinking about, dwelling over, and making decisions. In momentous decisions and small choices you want to do what is best for your child and set them on a path of faith and a good life. When my first born was about to start preschool, I knew my husband and I had decisions to make about school. 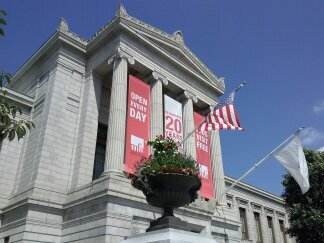 By this time, I had been out of the public schools for about three years. With increased state testing (which I had always disliked), changes in education policy and procedures, news stories of bullying, faith and social issues under fire, my opinion of public school was not as high as it once was. I knew public school WAS NOT the best choice for my family. So what was? Also, by this time, I had become great friends with a homeschooling mom. She was awesome and her kids were normal, well-adjusted, and socialized! The more I asked her about homeschooling and the more she told me, the more my opinions on homeschooling started to change. My friend choose her curriculum (which I loved), went on a ton of “field trips”, and made her own school schedule. Her children had plenty of opportunities to “socialize” through church activities, baseball, cub scouts, and other unique opportunities. Was this the best choice for our family? The thought of homeschooling started to weigh on my mind more and more. Even when I declared that I would NEVER homeschool, part of me knew that was untrue. I had seen the positive impact of homeschooling on my friend’s family. I wanted a family like hers. The teaching did not worry me. It was the “other” stuff which I think boiled down to what other people would think. Who? I am not sure. I constantly prayed for help to decide what to do. I did my research too- reading books, articles, blog posts. One day, I do not remember the exact day or moment, I felt that I had been given a answer to my prayers. I strongly felt that “yes” we were suppose to homeschool and that we needed to have enough faith that it would work out. A sense of peace washed over me and the weight was lifted. I became really excited about all the possibilities homeschooling would do for our family. At that time, we did not have everything figured out. We actually had two options for schooling. We had been offered a full scholarship at a Christian School. But at that time, we had spent so much time researching and praying and I felt so strongly that this was God’s plan, we turned down the scholarship. I was so blessed to have my husband’s support. My youngest daughter went to the Christian preschool while my oldest daughter and I started our first year of homeschooling together. It was a blessed year full of learning experiences for both of us. When my second daughter was about to enter Kindergarten, it was an easy decision what to do-HOMESCHOOL. September 1st, will start of our third year of homeschooling. It amazes me how the journey began and where we are now. We still do not have everything figured out and are learning as we go. I think homeschooling is definitely a calling and not for everyone. I feel blessed that we live in a country where we are given the freedom to choose which type of education is right for our children. I certainly do not look down or differently on anyone for making a choice of public or private school. I like to believe that we, as parents, are all trying to make the best choices for their children so that together we will raise up an generation that will kind, good leaders, and good stewards of this world. But as for my family, homeschooling is where we will be educating and bringing up our little world changers.